PENNSYLVANIA -- An Indiana County man and a companion from Jefferson County have been accused in connection with the theft of three cows from the Belknap livestock auction center in Armstrong County. Troopers at Kittanning charged that Luke States, 18, of Rossiter and Charles Powell, 19, of Mayport herded three Holstein dairy cows onto States’ livestock trailer at 3 a.m. Aug. 18 and took the cows to a barn owned by Powell’s family in Ringgold Township. 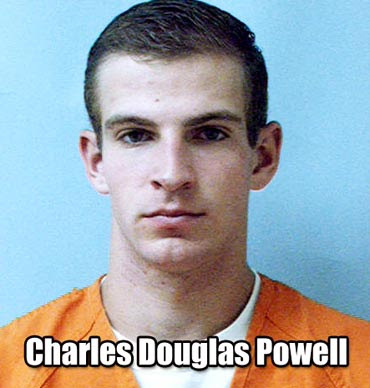 Three days later, after discovering the cows were running loose in the area, Powell shot and killed two of them with a .30-30 rifle, police reported. Powell, States and two juvenile boys who had gone out searching for the cattle let the third cow go free, according to criminal complaints filed at the district court in Rural Valley. States was arraigned Wednesday before Magisterial District Judge Samuel Goldstrohm, then was sent to the Armstrong County Jail. He later posted $5,000 bail and was released to await a preliminary hearing scheduled for Sept. 19. Goldstrohm on Wednesday issued an arrest warrant for Powell. Court documents show Powell confessed to his role in the theft and killings on Aug. 23, when troopers at Punxsutawney interviewed him. On Aug. 25, States told troopers at Kittanning that he helped to steal and transport the cows. Troopers reported the cattle were worth $3,200 and belonged to Moyer Packing of Souderton, Montgomery County. States and Powell have been charged with felony counts of theft, conspiracy and receiving stolen property. Troopers filed two misdemeanor animal-cruelty charges against Powell for killing the two cows that had escaped from them.